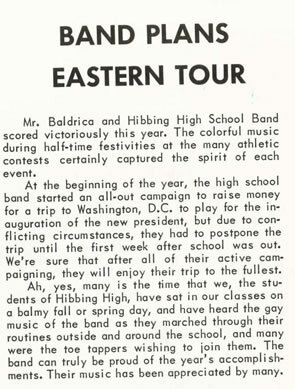 Band members raised money for this trip. We sold EVERYTHING to our friends, neighbors, & relative. We traveled to Washington, D.C. via TRAIN. We probably spent as much time (or more) traveling as we did sightseeing in D.C. Who were the daring chaperones?